Tuesday, Sept. 5th Update: Join us at our 8AM Daily Masses in the Chapel, where we will be remembering in a special way Msgr. Walter, Mark Betz, who is driving the second truck to Texas, and the people of Texas. St. Matthew Church will remain open for donations from 8am-8pm each day through Sunday, September 10th. 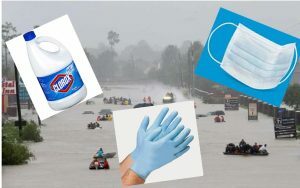 Most needed items: Cleaning Supplies: Clorox, Masks & Gloves; and Personal Hygeine products. They’re not able to accept any clothes donations or over-the-counter medicinals at this time – maybe at some point down the road. 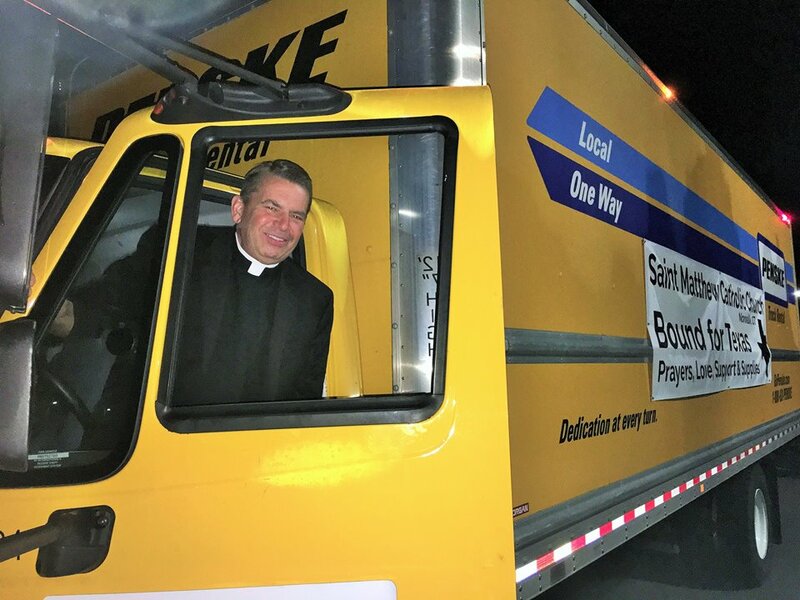 Truck One left Monday, Sept. 4th with Msgr. Walter driving. As of Tuesday night, he’s in Chattanooga, TN. “I’m heading down the road with a filled cabin – filled with God’s goodness and the magnificent Community of His great people. I’m taking your love, your prayers, and your offerings. This is what it means to be a follower of Jesus Christ.” Truck Two left Tuesday morning, Sept. 5th with Mark Betz driving. As of Tuesday night, he’s in North Carolina. 100% of the funds donated will help St. Matthew Church provide for the desperate needs of the children and families in Texas. For cash or check tax-deductible donations: envelopes are available in the Church office. Make checks payable to St. Matthew Church (in memo field write TEXAS RELIEF). Thank you, all, for your goodness…for your generosity.